Summer is here, and that requires lots of ice cream for a proper cool down. 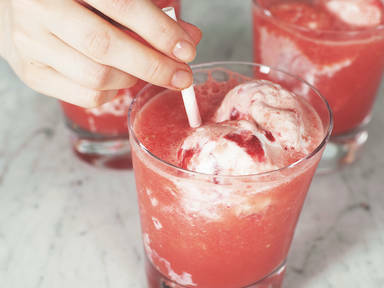 We’ve upgraded the chill-factor with these refreshing fruit-based ice cream floats, which you can prepare in no time and store in the freezer for a go-to treat on hot summer days! Watch the video for the full recipe, and float away on a cloud of ice cream!